Buhe pertence aos principais feriados religiosos da comunidade ortodoxa cristã de Tewahido da Etiópia. Comemora a Transfiguração do Senhor Jesus Cristo no Monte Tabor. Este artigo reverá todos os aspectos imagináveis do buhe. Apenas um punhado de relatos escritos referentes a buhe estão à nossa disposição. Materiais selecionados, conversas privadas e entrevistas com membros da comunidade foram usados neste estudo. Além da descrição, a música tradicional do menino, hoya hoye, foi amplamente discutida. A razão pela qual os meninos executam essa canção funcional é de sintetizar o papel dos pastores, que tocaram no sopé do Monte Tabor, marcando o dia da Transfiguração de Jesus. Materiais de áudio são oriundos de gravações feitas durante trabalhos de campo na Etiópia em 2005, 2006, 2015 e 2016. Nascida em Adis Abeba, na Etiópia, Timkehet Teffera tem estudado Etnomusicologia nos últimos 20 anos na Universidade Humboldt de Berlim, na Universidade Martin-Luther em Halle e na Universidade de Viena. Ela alcançou seus graus de mestrado (1994) e Ph.D. (1999), bem como seus estudos de pós-doutorado nessas universidades. 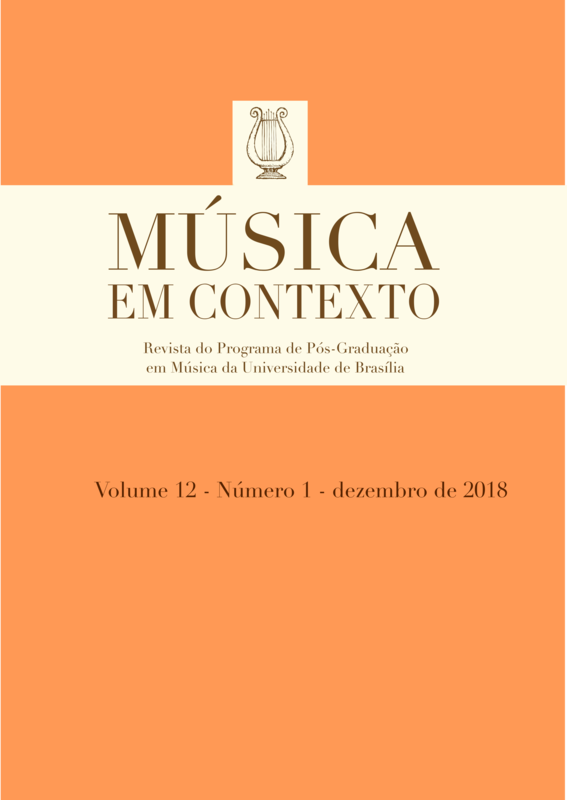 Seu campo de pesquisas acadêmicas foram realizados na Tanzânia, Quênia, Sudão, Eritréia, Somália, Etiópia e Uganda, com especial interesse na história da música africana em conexão com o período inicial da expansão do Islã (século 7), o tráfico de escravos, assim como os estilos e contexto da música urbana atual. Abebe, Hulubante and Addis Rodas Tadesse. 2015. Debre Tabor. Natanim Blogging Newspaper. August 18, 2015. http://nataniim.blogspot.de/2015/08/blog-post.html, accessed December 02, 2018. Abyssinica Dictionary. https://dictionary.abyssinica.com, accessed December 02, 2018. Alemu, Berhanu. 2014. ቡሄን ከነትውፊቱ ለትውልዱ ማስተዋወቅ [Buhen känätəwfitu letwəldu mastäwawäq = ‘Introducing Buhe to the New Generation’]. Addis Admas Weekly Amharic Newspaper. August 16, 2014. www.addisadmassnews.com, accessed December 02, 2018. Amarigna Mäzgäbä Qalat (1993 Ethiopian Calendar = 2001). [Amharic Dictionary]. Department of Amharic Language, Literature and Folklore. Addis Ababa, Etiópia: Addis Ababa University, Artistic Printing Press. Berhanemeskel Tedla Mengistu (Priest at the Ethiopian Orthodox Church St. Emanuel/Amanuel in Berlin, Germany), interviewed by Timkehet Teffera between June and August 2015 at Berlin, Germany. Unrecorded. Desta, Mesfin Messele. 2010. Historical, Religious and Socio-Cultural Background of the Buhe Holiday. Deutsche Welle Amharic Program, Interviewed by Azeb-Tadesse Hahn; Bonn, Germany; broadcasted August 26, 2010. Gebremariam Woldu (Priest at the St. Mary Church in the town of Mäqälle, Tigray Administrative Region); interviewed by Timkehet Teffera, at Mekelle, Tigray, Ethiopia, 2012. Unrecorded. Getahun, Solomon Addis and Wudu Tafete Kassu. 2014. Culture and customs of Ethiopia. Santa Barbara, California: Greenwood. Hoya Hoye (Happy Buhe ). Dire Tube. http://www.diretube.com/tesfaye-taye-hoya-hoya-happy-Buhe -video_5f28ba0ff.html, accessed January 03, 2015. Kassahun, Ashenafi. 2013. “Ye’kolo-Temari: Children’s Perspectives on Education, Mobility, Social Life and Livelihood in the Ethiopian Orthodox Church (EOC) Traditional School in Dangila.” Master’s Thesis, Trondheim: Norwegian University of Science and Technology, Faculty of Social Sciences and Technology Management. http://ntnu.diva-portal.org/smash/get/diva2:61 2027/FULLTEXT01.pdf, accessed December 02, 2018. Kubik, Gerhard. 1983. Verstehen in afrikanischen Musikkulturen. In Musik in Afrika: 20 Beiträge zur Kenntnis traditioneller afrikanischer Musikkulturen. Edited by Artur Simon. Berlin: Veröffentlichungen des Museums für Völkerkunde, pp. 313-326. Kubik, Gerhard. 1988. Zum Verstehen afrikanischer Musik : ausgewählte Aufsätze. Leipzig: Reclam. Mersha, Yohi. 2008. “Foundation of Education in Ethiopia.” Born Black Online Magazine 1 (November). http://www.bornblackmag.com/Ethiopia.html. Nketia, J. H. K. 1962. “The Problem of Meaning in African Music”. Ethnomusicology, 6: 1-7. Reminick, Ronald A. 2006. “Ritual of Masculinity: The Sport of Warriors on the Wane: A Case of Cultural Endurance in the Face of Social Change.” In Proceedings of the XVth International Conference of Ethiopian Studies, 184–89. Wiesbaden: Harrassowitz. Roy, Christian. 2005. Traditional Festivals: a multicultural encyclopedia, Vol. I. Santa Barbara, California: ABC-CLIO Publishing. Sheger ሸገር Online. ቡሄ ከኃይማኖትና ትውፊት አንጻር [The Buhe feast from religious perspective]. Interview with Alemu Haile and Abebaw Ayalew made by Meaza Birru, Sheger FM 102.1. Youtube video, 50:40. August 18, 2017. https://www.youtube.com/watch?v=69Sn5TaAGmQ, accessed December 2, 2018. Timkehet Teffera. 2017. “Part I: Celebrating New Year Traditional Practices and Seasonal Music”. Kuandu Music Journal 25: 83-93. Tsegaye, Mezmur. 2011. “Traditional Education of the Ethiopian Orthodox Church and Its Potential for Tourism Development (1975-present)”. Master’s Thesis, Addis Ababa: College of Development Studies, Tourism and Development Program, Addis Abada University. https://www.academia.edu/2446790/Traditional_Education_of_the_Ethiopian_Orthodox_Church_and_Its_Potential_for_Tourism_Development_1975-present_, accessed December 02, 2018. Wainwright, Geoffrey, and Karen B. Westerfield Tucker. 2006. “The Ancient Oriental Churches.” In The Oxford History of Christian Worship, 131–69. Oxford: Oxford University Press. Zenebech Desta (ca. 75 years old housewife), interviewed by Timkehet Teffera at Mekelle, Tigray, Ethiopia. Unrecorded. Teffera, Timkehet. 2018. Garotos Alegres Cantando Hoya Hoye. Música Em Contexto 12 (1), 87-114. http://periodicos.unb.br/index.php/Musica/article/view/23569.